How Long Should It Take My AC To Cool My House? As the Greenville South Carolina summer heat begins to roll in, your inside air temperature may follow suit by producing warmer temperatures, taking longer to cool down, and using more energy to function. The time that it takes your central A/C unit to cool your home during this time depends on a number of factors, such as the outside temperature, the size of your home, and whether or not your attic is insulated. 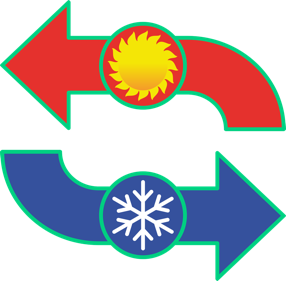 A properly functioning central A/C unit should be able to cool a moderate, four-bedroom home by 10 degrees Fahrenheit in three hours. Although the cooling power of your A/C also depends on the power, size, and age of your unit, your home should be noticeable cooler within a few hours. If you notice that your AC is running constantly without ever reaching your set temperature, you may have a problem; however, there are a few things that you can do to help. Change your air filters. Dirty filters restrict air flow and thus prevent effective cooling. Check for leaks in your air ducts. Energy Star estimates that 20-30% of conditioned air is wasted by leaky ducts. Have a certified HVAC technician, like General Air, check your refrigerant levels. Low refrigerant levels prevent your A/C from effectively removing heat from your home. Have a professional, like General Air, assess the size of your A/C. An air conditioner that is too small for your space will waste energy by running constantly and producing minimal results. If you believe you are having a problem with your HVAC system, General Air of SC is fully equipped to provide accurate assessments and recommendations, with full-service technicians to meet your repair or replacement needs. It is important to get your unit checked as soon as you notice a problem, so do not hesitate to contact General Air of Greenville S.C. to get your heating and air systems operating smoothly again in no time. previous post: What Is MERV Rating?